Following the product releases at Partner Day, the quality breakout sessions throughout Wednesday and after we recorded an episode of Inbound After Hours with HubSpot's Vice President of Marketing, we attended the always-brilliant keynotes by Brian Halligan and Dharmesh Shah. "Earn my attention don’t steal it." Give me something of value before you take something I value (my time). For example, unexpected outreach lowers opinion of 85% - worst case scenarios, therefore, isn’t neutral. "Solve for my success not your systems." “Let me take you through our sales process” captures what’s wrong with not having a true customer-focused approach. If a customer wants to skip some process steps - let them! Remove friction. Own your screw-ups. We all make mistakes, just say sorry, be sorry and make it better. Use a human approach. If you acknowledge a mistake, 96% of customers won’t leave you. "I don’t mind paying, but I do mind being played." Make pricing open and fair. 69% of people leave if pricing is confusing and complicated. Don’t block the exit! You made it so easy to buy, don’t make it hard to cancel. Sometimes relationships don’t work. Get over it. 89% people say if canceling is easy, they’re more likely to buy. - Dharmesh suggested a “Cancel now with 1-Click” button on websites which nicely shows what a culture shift it needs to be to become truly, truly customer first. Go to HubSpot's new site CustomerCode.com to score yourself to see how you score on the customer experience scale. 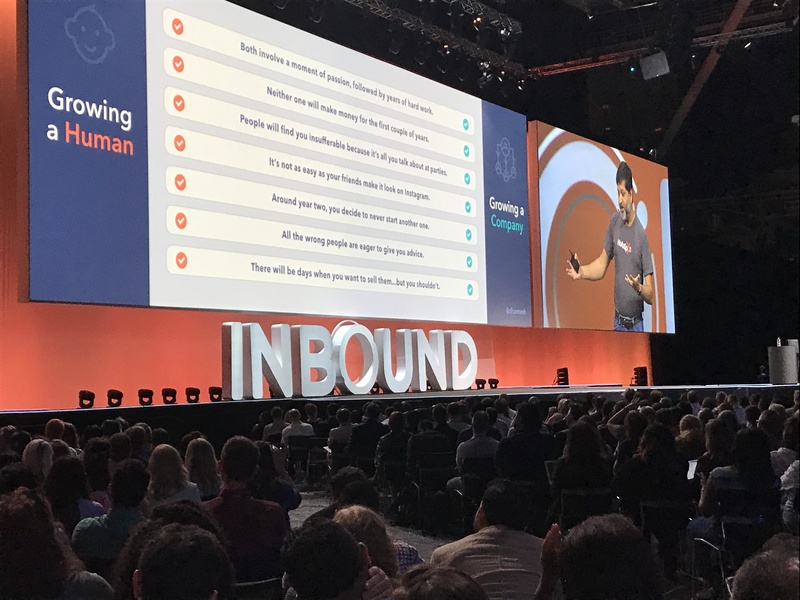 Check out more from our INBOUND 18 trip on our blog and social media. Join our Facebook group, Inbound After Hours, to chat about and share your learnings on all things inbound marketing.